Tag Archive | "Cheap Turbos"
KKR430 Turbocharger Review – Yay or Nay ? 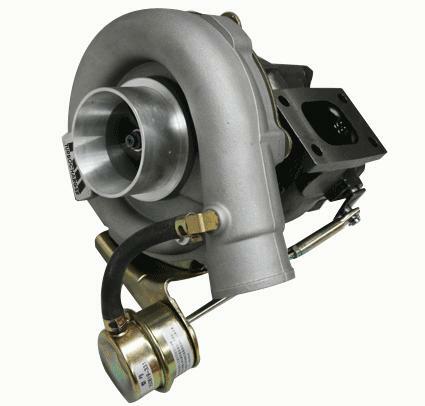 The KKR430 turbocharger is one of the cheaper options thats been getting known around forums, the overall design is very similar to German KKK Turbochargers, how ever it is not known for the same quality and is not a rolla bearing. They are recommended as a bolt on upgrade for the RB25 and suited to 2.0L to 2.5L engines, these turbo’s are not rated, people have been throwing about the numbers of 300-450hp but its not documented anywhere, but have a claim of 240rwkw on a 2.5 RB25DET with 15psi of boost which sound a tiny bit over rated for the specs of this turbo but then again we don’t know what other modifications that RB25 had. Fitting average withs a T3 flange, turbine outlet is a 2.75-inch V-band and these are internally gated, there is two wastegate options available during order first is the standard at 11-12psi, or a “Race” one at 14 to 18psi, there have been an number of reported issues with waste gates getting stuck open, even though these run sleeve bearings there haven’t been reported issue’s with wear/ excessive shaft play, but there does seem to be problems with oil seals blowing, and these dont seam to last more than a year, one other thing im not sure of is the A/R of the exhaust KKR actually list in there specifications that the KKR430 is similar to their KKR380 but has a .56 A/R turbine housing yet the spec sheet says .58A/R ?? got me confused. So at the end of the day if you have a weekend thrash box in need of a new hair dryer you can’t go wrong for the price, but if your building some serious engine I would recommended spending a bit more extra cash on Garrett, HKS, KKK, or Turbonetics turbocharger as the last thing you need is to blow a $8000 engine from a $800 turbo, and that sale rule your mum told you applies, “You get what you pay for”.